I'm embarrassed for for every political and investigative reporter in America. I'm embarrassed for all the documentary filmmakers in America. But the thing I'm most embarrassed about is that our country didn't have the guts to come out with a documentary of our own on America's first illegitimate president. We owe the Dutch bigly on this one. My sincere thanks go to the producers at Zembla, a Dutch online publication that put together a series on Trump that no American should miss. The First installment of series is titled: The Dubious Friends of Donald Trump, Part 1: The Russians. Author and political columnist, Steven Rosenfeld, wrote an article for Alternet recently that I hope goes viral in America. 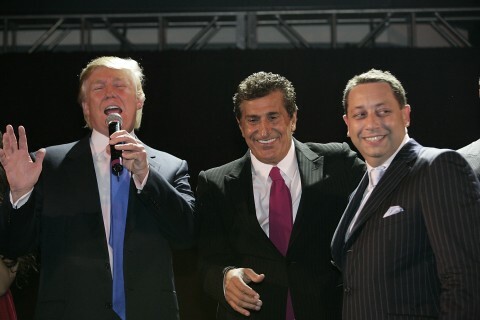 "It starts with Trump's luxury tower in the lower Manhattan neighborhood of Soho, where his partner in building that high rise was Bayrock LLC, whose primary investor was a Russian mining oligarch and another major investor was a convicted Russian mobster named Felix Sater. "Why did 60 Minutes pass on the Bayrock story in 2016? Why did ABC News' Brian Ross pass on the Trump Soho [Tower] story in 2015? Why has no major network done any kind of documentary on what the Dutch just did?" asks James Henry, a corporate lawyer-turned-financial investigative reporter who writes for DCReport.org. Henry is one of several investigative reporters whose work on Trump's shady business empire is profiled in the film. The documentary shows how Trump not only helped hide the identity of his mobster business partner, prompting an ongoing lawsuit accusing Trump of criminal racketeering, but also how Trump used that internal company crisis to demand more money. It goes on to show how Russian oligarchs saw Trump's properties as a way to get their money out of Russia, and describes the international financial networks that are akin to a pyramid scheme for money laundering. It also notes how the law firm of Trump's political adviser, former New York City mayor Rudy Giuliani, helped set up a money-laundering account in the Netherlands used by Bayrock. While American journalists are following Trump's tweets and tantrums, they (the Dutch) followed the money into a world where the lines between outright profiteering and organized crime are blurred." Don't be shy. Share with your friends. The more people know about Trump's past, the better chance he's going to land in hot water. He can't keep on firing FBI directors.